Cinderella, arguably one of the famous fairy tales of all time, is believed to have originated only in the late 17th century. Likewise other renowned stories and yarns ‘traditionally’ made their debut into popular consciousness only after 18th and 19th centuries. However a new research (published in the journal Royal Society Open Science) has put a ‘twist to the tale’. According to the findings, many (if not all) fairy tales not only predate the modern European languages, but are also older than most of the world’s major religions. In fact, the research alludes to how such yarn concoctions possibly influenced the framing of famous Greek and Roman mythological chapters. And interestingly, the researchers have connected the folkloric traditions of early Indo-European speakers to (many) such myths. Simply put, according to the researchers, many of these fairy tales are somewhere between 4,000 to 6,000 years old. The two authors of the study – Jamshid Tehrani of Durham University and Sara Graça da Silva of the New University of Lisbon, started their project by identifying around 275 fairy tales with seemingly Indo-European origins. This set of tales was used for analyzing how the folklore was possibly familiar to populations that were closely related to each other – both in terms of their respective languages and geographical habitations. In other words, the assessment allowed the experts to distinguish between the tales that were intrinsically a part of a proto-culture and stories that were more ‘global’ in nature – spread by traveling people and merchants. After some stringent appraisals, the researchers were able to narrow down their list to 76 tales that probably shared a common legacy. These chosen folkloric specimens were then matched with the several branches of Indo-European languages – much like the process used for studying a genealogical family tree. And by tracing back the ‘tid-bits’, the researchers arrived at the conclusion that the oldest tale in their chosen set was the “The Smith and the Devil“. The story espouses the familiar trope of a person selling his soul to the devil in return for some extraordinary power. And the researchers have hypothesized that this fairy tale was contrived by the Bronze Age ancestors of the Indo-European speakers. 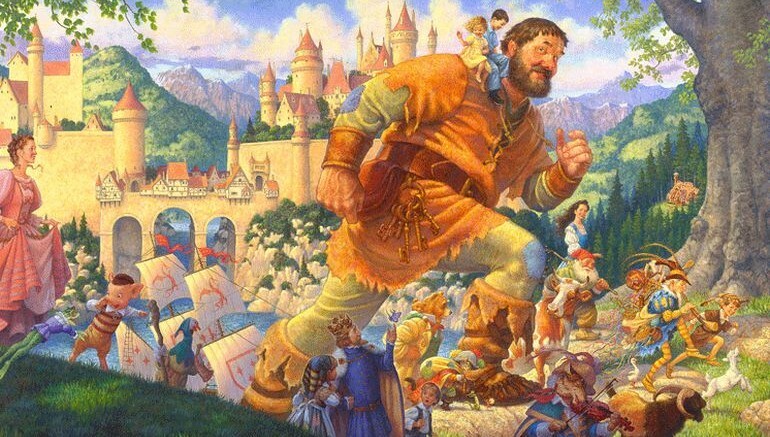 Similarly, these experts also believe that the famed fables like ‘Beauty and the Beast,’ ‘Rumplestiltskin‘ and ‘Jack and the Beanstalk‘ all had their origins before the emergence of modern European languages. 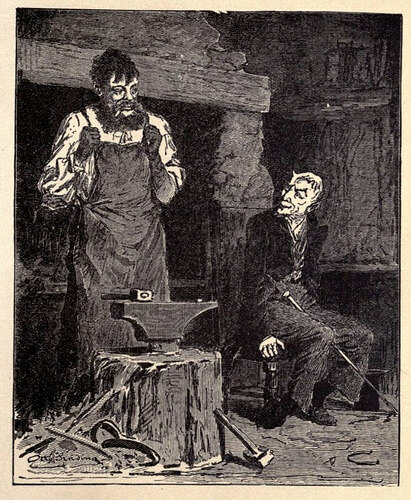 Interestingly, in the case of The Smith and the Devil, the story pertains to a technological achievement in human history, better known as metallurgy. This perhaps helps in resolving the historical issue (and debate) concerning how Indo-European languages were developed in context of humanity’s technological timeline. The researchers here believe that the languages evolved only after advances were made in metalworking. But of course beyond just metals and magic, some of the popular tales hark back to morality and ethical behavior, like in the story of The Grateful Animals where the hero rescues a group of animals to win the affection of the princess. Such narratives in turn allude to the underlying dichotomy that has been prevalent since then, with tales encompassing the relation (and conflict) between good and evil, men and women, moral and immoral, and the subjective justification of ‘right and wrong’. Tehrani and Graça da Silva have clearly and scientifically demonstrated that the origins of folk and fairy tales can indeed be traced back to ancient societies by using phylogenetic methods. Their work can serve as the ground work for studies that investigate why certain tale types originated, how they were disseminated and spread throughout the world, and why we keep telling the same tales though different modalities in the present.